It is 345 meters long and weighs over 150,000 tons. On board are a casino, a shopping center, seven restaurants, a theater, a two-story nightclub and even a planetarium. It masters the 2,715 nautical miles across the Atlantic in seven days – from Southampton to New York. It was launched in 2003 as the largest and most expensive passenger ship in the world: the Queen Mary 2. Besides 3,090 passengers, the ship houses a total of around 15,000 FGR pipe couplings of the types Grip and Grip E. The joining elements are mounted on pipes for fresh water and seawater, the cooling water system, air ducts, overflow pipes and DF pipes. Some of the joining elements must be flame-retardant. Where would fire protection be most important on a ship? 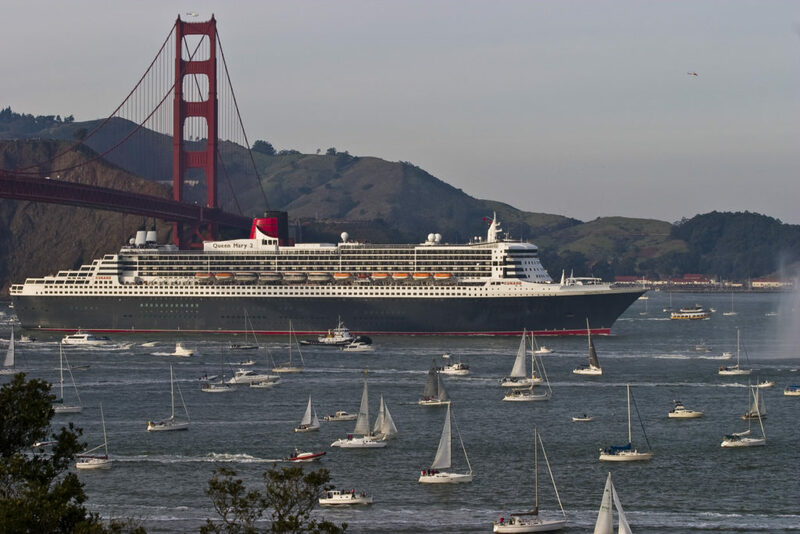 Countless ships and sailors welcome the Queen Mary 2 as she arrives in San Francisco. That depends on the area in question and the regulations of the classification society according to whose standards a ship is built. Machine rooms, for instance, are class A. That means that no joining elements may be used there. All joints must be welded due to the high risk of such sensitive parts of the ship. There are four 16-cylinder diesel engines and two gas turbines that bring the Queen Mary 2 up to a top speed of 30 knots. Global shipbuilding places very high demands on joining products. The pipe couplings used in fire-risk areas are even subject to highly specialized tests. The coupling – depending on the pipe diameter – must withstand 850 degrees Celsius for at least 30 minutes and then withstand up to 32 bars of pressure for 5 minutes. Thanks to their low weight and space-saving installation, the pipe couplings also reduce the overall weight of the ship. By over 75 tons. 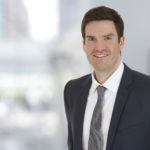 That is because each 114-millimeter coupling saves around 5 kilograms compared to a connection with two flanges and screws. The ship uses couplings sized 60.3 to 219 millimeters. Most sizes are near the middle of that range, such as 114 millimeters. Over 75 tons less weight can reduce fuel, and therefore emissions, or create space for additional cargo – or additional entertainment, as in the case of the cruise ship. Where are the FGR pipe couplings used? The ballast lines are located in the bow of the ship and take up seawater. 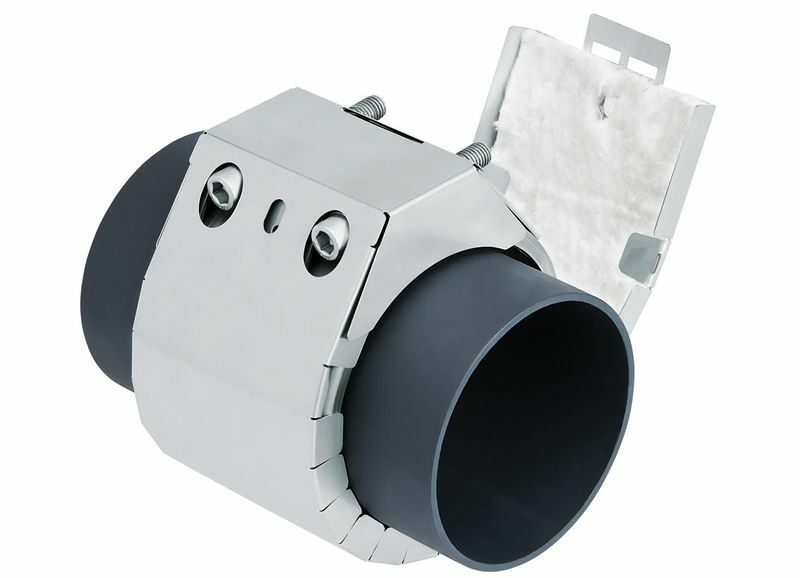 Pipe couplings in this area have a long service life and are protected from corrosion. The cooling lines on the engine system are vital – they are also connected by pipe couplings. The four diesel engines and two gas turbines bring the ship up to 30 knots. The pipe couplings were precisely tested and certified through two million test cycles by Lloyd’s Register to ensure they were prepared for the strong vibrations that occur on the ship. Drinking water for passengers also flows reliably to every tap thanks to countless pipe couplings that reliably join the pipes. 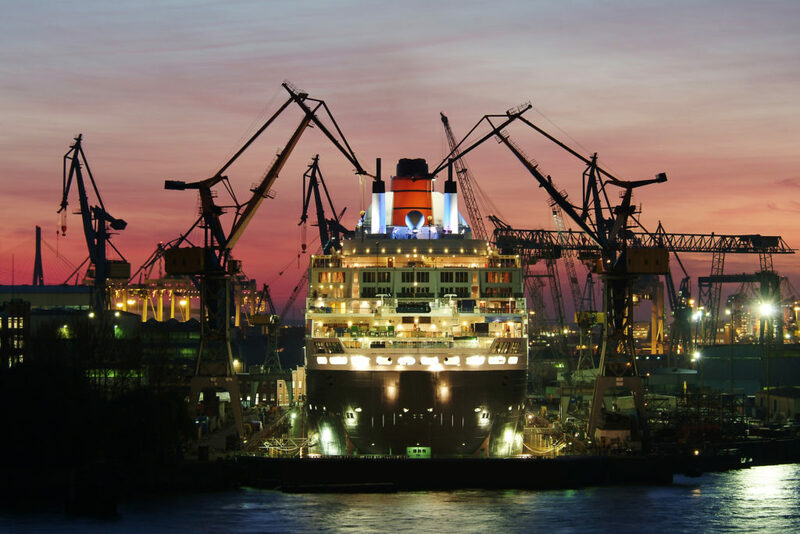 How did NORMA Group pipe couplings find their way onto the Queen Mary 2? It all started with an ambitious vision in the late 1990s. The Cunard shipping company wanted to build a ship that was bigger than any ship ever before. Construction began in early 2000, and in January 2002 the first steel plate was cut for the floating colossus. More than 3,000 workers were involved in construction at the French shipyard Chantiers de l’Atlantique. A total of 300,000 individual steel parts were joined into 94 sections, which were then welded together at the dock. Individual sections weighed more than 600 tons. The Queen Mary 2 is firmly moored in the port of Hamburg. This segment construction method is typical in shipbuilding. 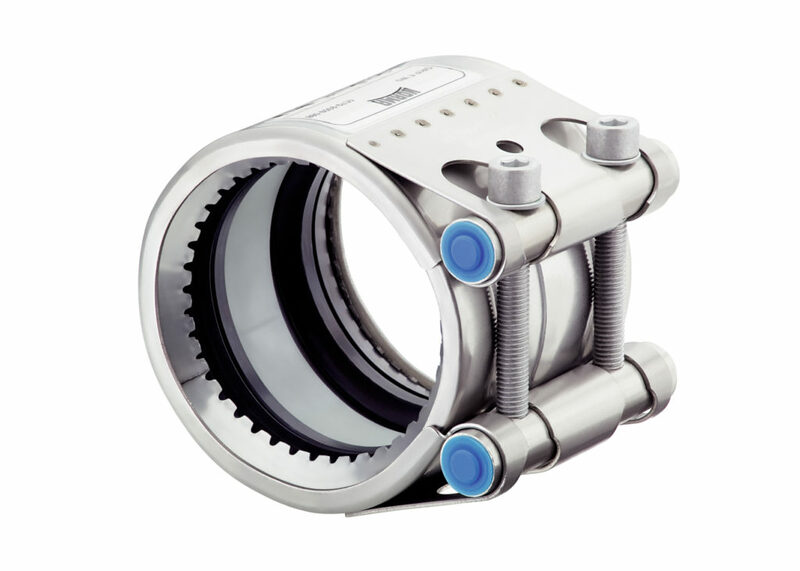 FGR pipe couplings from NORMA Group were either installed in the individual segments in advance or served to connect entire segments. The Queen Mary 2 left the shipyard for her first test run in September 2003. In December 2003, the shipyard handed the ship over to Cunard for USD 800 million. That made the Queen Mary 2 the largest and most expensive passenger ship ever built. Since 2018, the Symphony of the Seas has worn the crown of Royal Caribbean International. GRIP connects pipes made of metal. The anchoring ring engages surface with its teeth and ensures secure tensile strength. RFP is a retrofittable flame protection housing. Its low weight and straightforward design allows quick, easy assembly without any tools. Can humanity bring back lost nature with engineering? Plants from all over the world are blooming in the giant Gardens by the Bay ecological park in Singapore. Nearly 98,000 COBRA clamps help to reduce the metropolis’s carbon dioxide emissions. 57 kilometers long and up to 2,300 meters deep below the Alps: the Gotthard Base Tunnel is one of the world’s most spectacular construction projects. Mountain water flows through pipes with about 4,800 NORMA Group pipe couplings. A hard job for the connecting parts.